Application bar is a row of Icon buttons, menuitems and ellipsis (Three dots at the edge of application bar) placed at the bottom of the page. It is recommended to use Application bar instead of creating your own Menu. We can add up to 4 Icon Buttons with optional MenuItems. 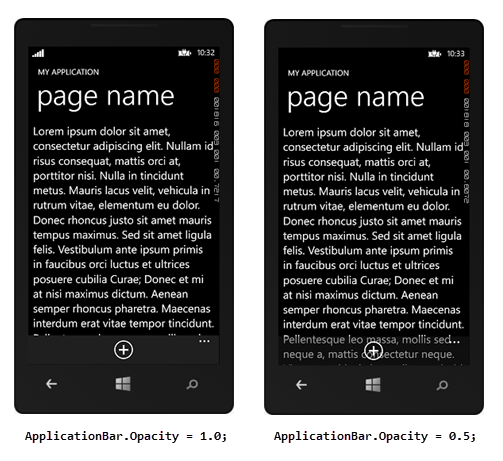 C:\Program Files (x86)\Microsoft SDKs\Windows Phone\v8.0\Icons\Dark and copy the icons you want to use. You can also use your own icons with 48*48 size with a transparent background. Paste the icons in Assets folder of your project. 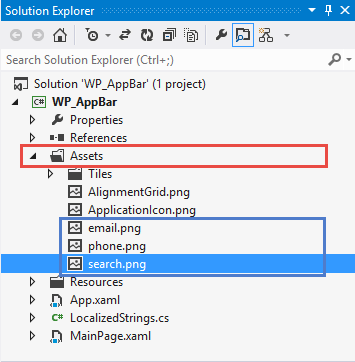 In the preceding Code, we create an Application Bar and then add an icon button and MenuItem to it. 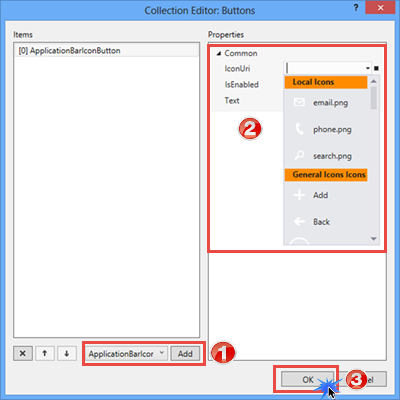 IconUri property is used to set the URI of the icon to use for the ApplicationBarIconButton. We have also created click events for ApplicationBarIconButton as well as for ApplicationBarMenuItem. 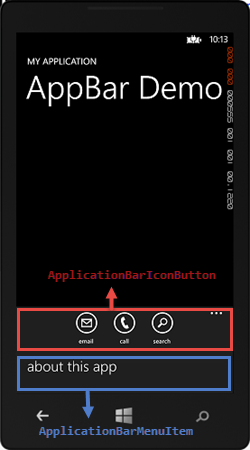 We can also create an Application bar from the Property window of PhoneApplicationPage. 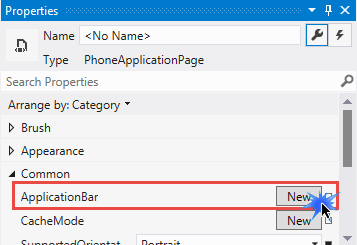 Click on a new button for creating ApplicationBar in PhoneApplicationPage's Property. 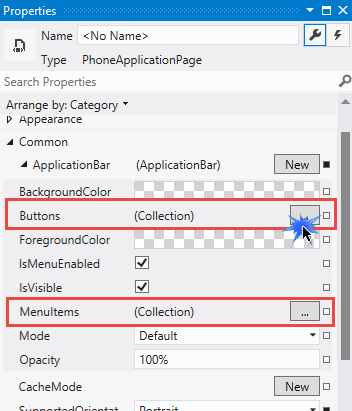 Click on Button property for creating a collection of Icon Button or Click on MenuItems for creating ApplicationBarMenuItem. 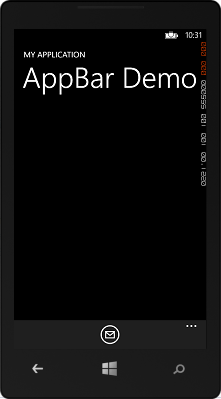 Now add ApplicationBarIcon Button and set IconUri as well as Text properties and then click on OK.
1. 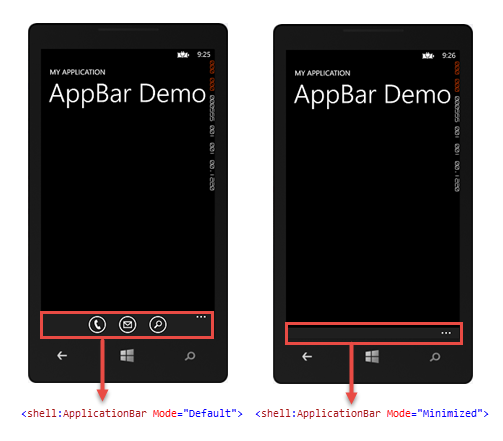 Mode: Mode property defines the size of Application Bar when it first appears on a page. 2. Opacity: Opacity can range from 0.0(Complete transparent) to 1.0(Opaque). I hope you like this. Thanks.